We cannot have a Christmas Wishes event without featuring one of the hottest products on the market. 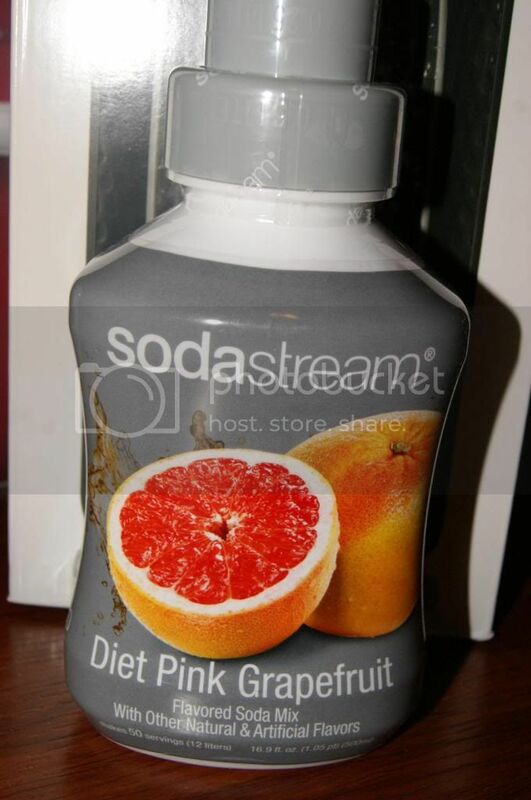 Soda Stream is a product that is topping many wish lists, and that is no surprise to me at all. 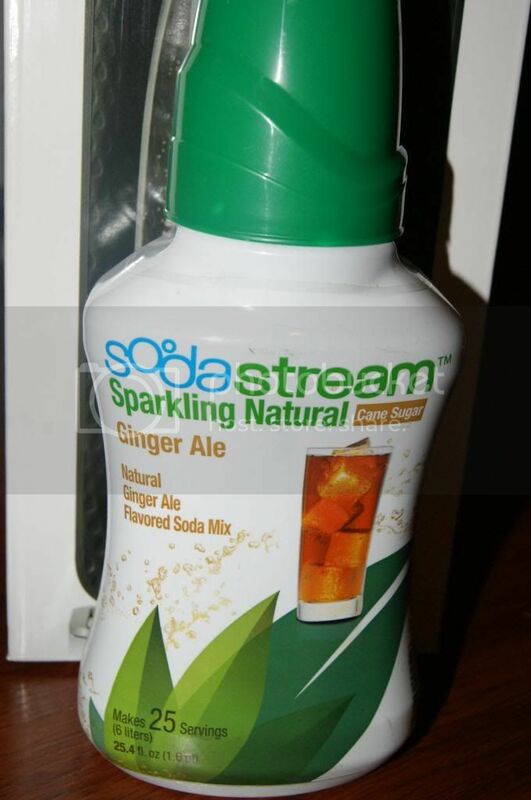 Soda Stream is perfect for anyone who loves soda(or seltzer). My husband and I are huge soda drinkers. We would go through eight to ten 12-packs a week. Storing all those 12-packs was a nightmare, even with 2 refrigerators. We would keep the extra ones in the trunk of the car or in a closet, it was stupid. Not to mention all the cardboard and aluminum used for packaging that had to be recycled. That means even after we drank the soda, we were stuck with the "trash" all week until the recycling came, which took up even more space(which we are already short on). Another thing I hated about buying the 12-packs, is it's harder to mix up the flavors. You don''t always know when you will be craving a certain flavor, but there is no way you can keep 40 12-packs on hand just in case. That also made entertaining harder, as there was not always something for everyone. Last year, though, we changed all that. We got a Soda Stream Genesis, and it was a total 360. No more cans, or cardboard. No more limited selection and hoping your guests like what you have. 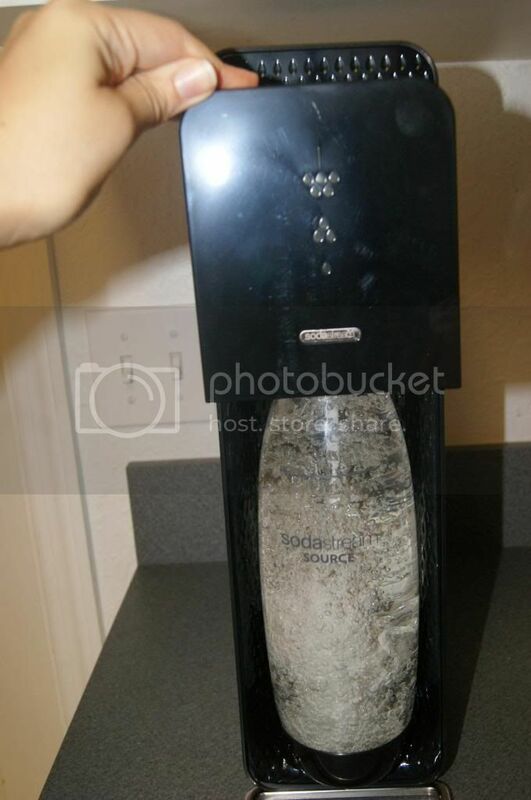 That is because Soda Stream lets you make your very own soda, right in your kitchen, in just minutes. 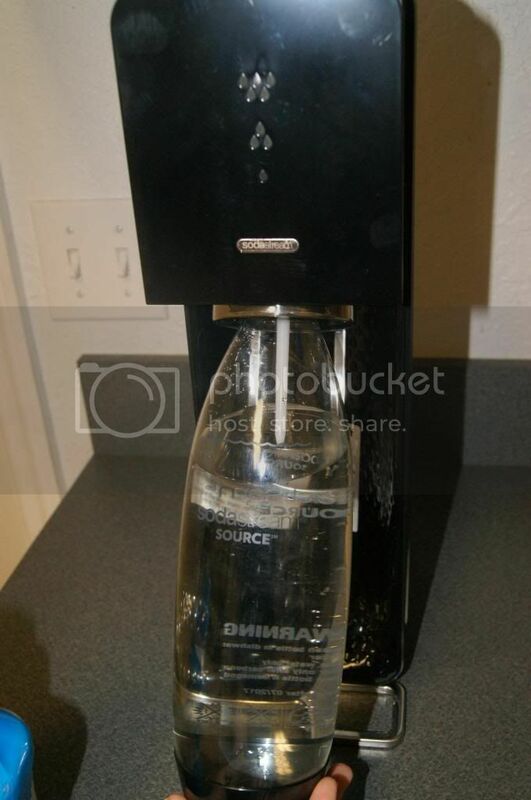 This year we decided to upgrade to the new Soda Stream Source. The Genesis is great, but this is just a bit more modern. I gave the Genesis to my very thankful sister, and she loves it. The Source is so sleek looking. It looks great on my counter and fits easily under my cabinets. It does not take up much space, so I don't have to drag it out and put it away, it just sits on the ready. It gets used so much that putting it away would be pointless anyway. The Source comes with this carbonating bottle. It is more curvy and "stylish" than the normal ones. I love the way it looks. What I really love about the Source is how much simpler it is to use. Instead of screwing the bottle on, you simply hold it on there and push the whole thing back toward the machine. As you push, it grips the bottle, and holds it perfectly in place. 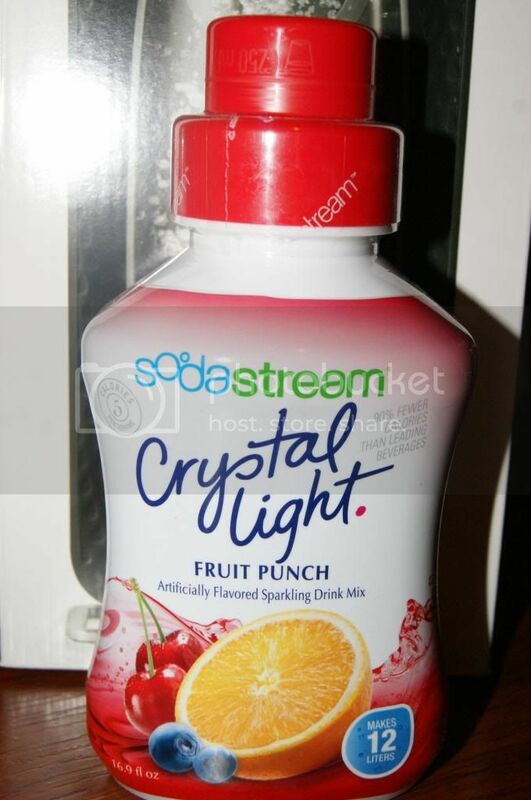 Then to carbonate, you just hold down the "block" until the light reaches your desired fizz level. I love that it will show how fizzy it is. That was the only "issue" I had with the Genesis model, you cannot actually see the fizz level, you just press and release until it buzzes a certain number of times. This is more precise. I love it. Of course, the best part is actually making the soda. It is so much fun, but even better, it is delicious. All the flavors taste amazing(most better than branded sodas), and there is a much larger selection of flavors available, and so much more than sodas. 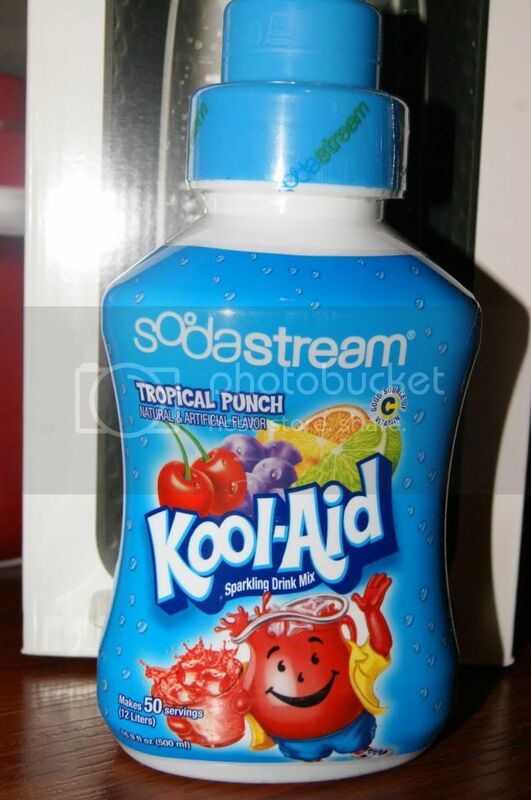 There are Kool-Aid flavors, Country Time, Crystal Light, and more, in addition to all of the Soda Stream flavors. I had already been familiar with many of these incredible flavors, like the Root Beer, which has been my favorite from the first taste, but many of these are new and I just discovered them, like the Kool-Aid one above and the Half & Half and the Crystal Light, all of which are incredible. 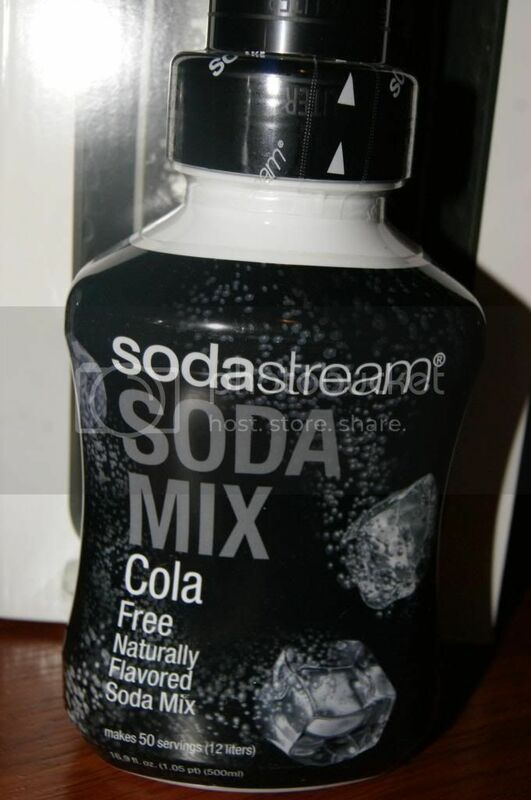 Hubby's favorite is still the Cola Free, because it is the same as "Zero" colas, which is what we used to buy already. He is less adventurous with flavors than I a, which is what makes this so perfect for us. Now we can both have exactly what we want on hand at all times. The Soda Stream makes entertaining so much easier too. I HATE Ginger Ale, so we never buy it. Of course, many people love it, and when we have guests, I get asked for it all the time. Now I have a bottle of the Natural Ginger Ale Mix in the cupboard. It is much better than having to say we don't have any. 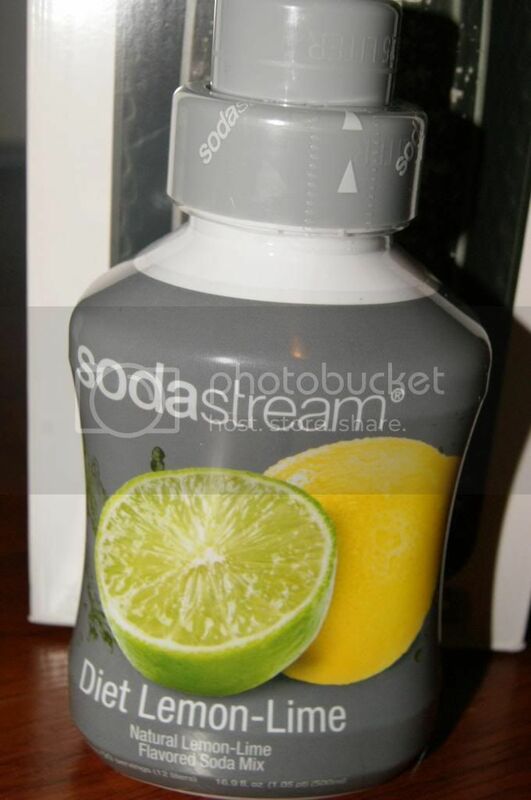 All of that is what makes Soda Stream such a great gift. Give the gift of style, innovation, flavor, convenience and even better health(Soda Steam mixes are better for you than soda). 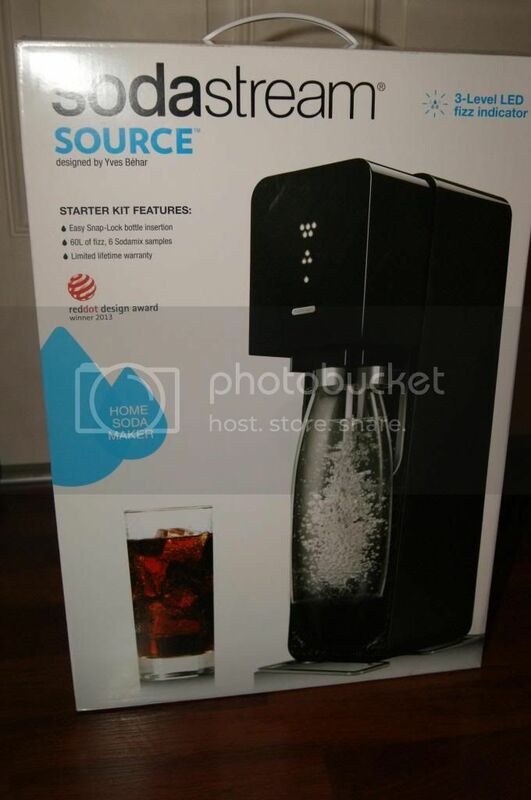 Soda Stream is perfect for almost anyone on your list. The College student, the newlyweds, the large family, the single friend, the grandma, whoever. 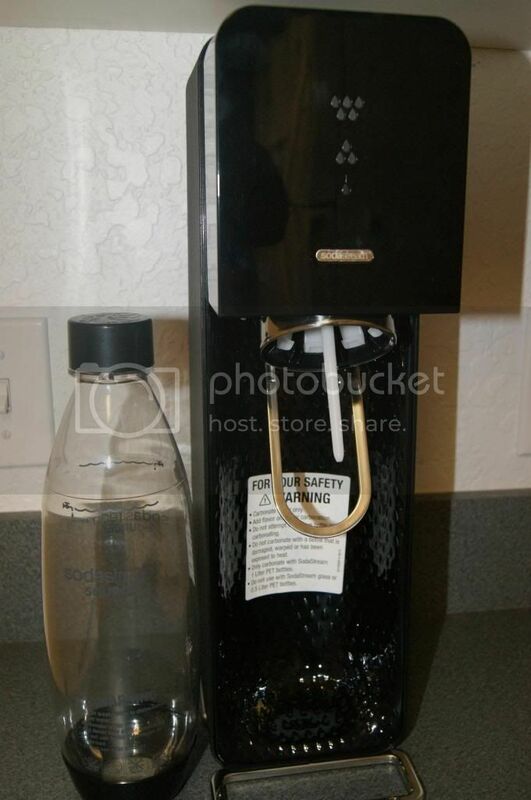 Anyone who drinks any sparkling beverages will LOVE the Soda Stream. That is why I am giving you all the chance to win one as part of the Christmas Wishes Event. 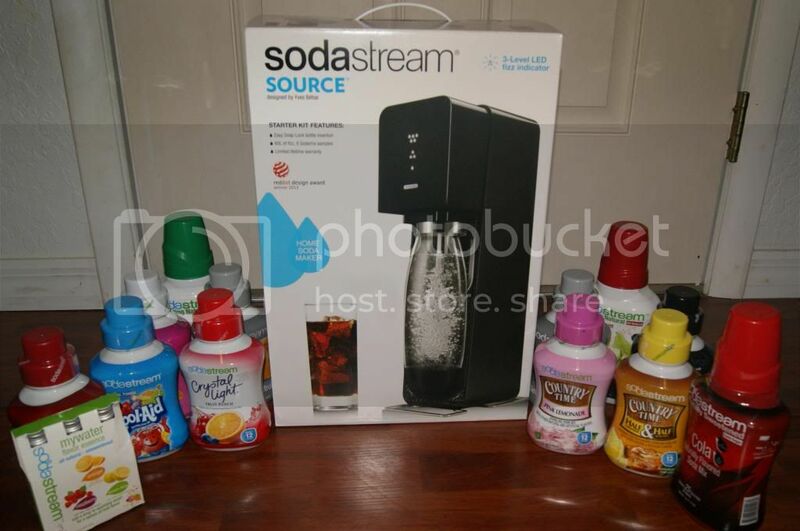 One lucky winner will receive a Soda Stream Fountain Jet Starter Kit, with their choice of 3 syrups. Enter below for you chance to win. Make sure you check out the rest of the giveaways in the Christmas Wishes event too. With 10 other bloggers involved, there are tons of magnificent prizes to be won. See the Look book and the linky HERE. That it saves a lot of space and offers a wide variety of drinks for guests. they have such a great variety! Love its so easy thanks for the great review! Like others have said... I like that there is a large variety available! My mom wants to get one of these for my dad for Christmas! I have wanted to try one of these. It sounds like so much fun. I love that you can reuse the bottles, saving the earth and money by making your own! 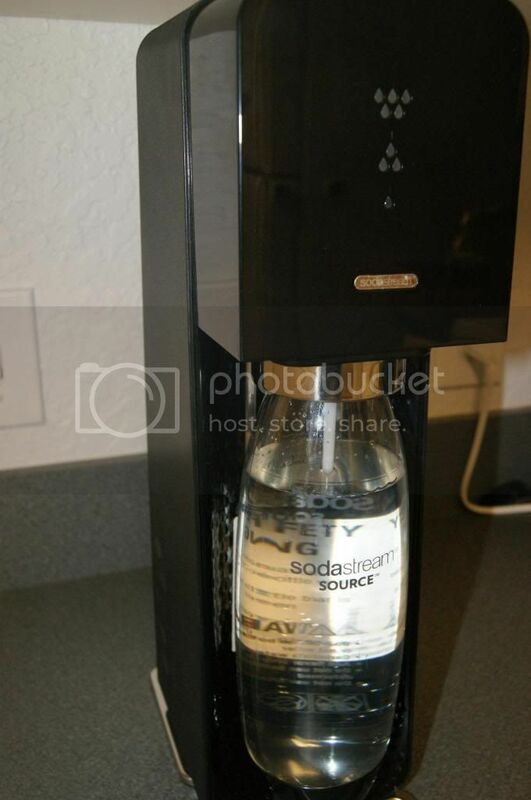 I love that Soda Stream eliminates waste and is environmentally friendly. 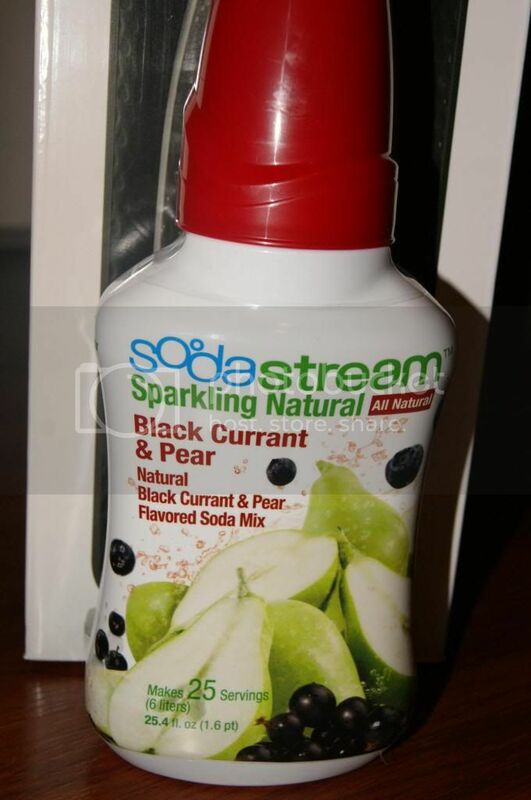 I love that you can make any flavor you want and it's much healthier than store bought soda! I like how easy it is to use and having the opportunity to try different flavors. I love the ease of use as well as the overall savings. I love how its so easy and convenient to use. A friend has one and I love how easy and accessible it is to provide soda for a guest. We don't drink soda, so if I keep bottles for guests it gets flat quickly! 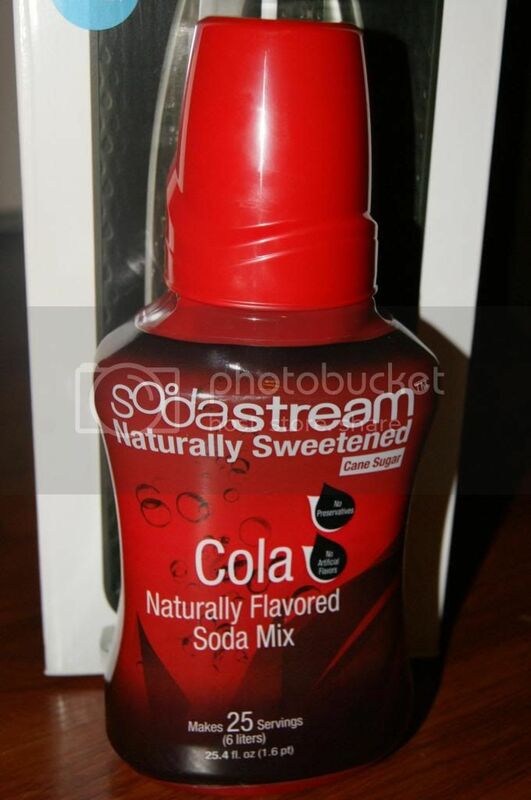 I think it is so easy and cheaper in the long run than constantly buying soda. I like that I don't have to run to the store as often. I like how I save money. That I can save money by not buying multiple sodas and worrying about them going flat, and that we can each drink something different. That it looks EASY and they offer drinks my entire family would enjoy. Its easy and saves money and space. I like all the flavors and that you can reuse bottles! I like there is so many different flavors to choose from. I love how much money you'd save! I love that you can make almost any flavor of soda, tea, water, energy drink you want in such a short amount of time from your own home. I also love that you will be saving TONS of money! i like being able to make soda on a whim. You can make soda for guests when you need to. We don't buy soda so this would be nice. I love how it saves money and still have all the flavors of soda you'd regularly drink! I like the huge variety of flavors to choose from without taking up a lot of space. I like all the flavors! I would like to try all the flavors. I like that there are many choices. That you can make whatever you want and control what goes in it! While I love the flavor varieties, I so appreciate not breaking my back carrying various heavy fluids home from shopping. I love that there's so many to choose from - there's something for everyone without having to take up so much fridge space with cans! 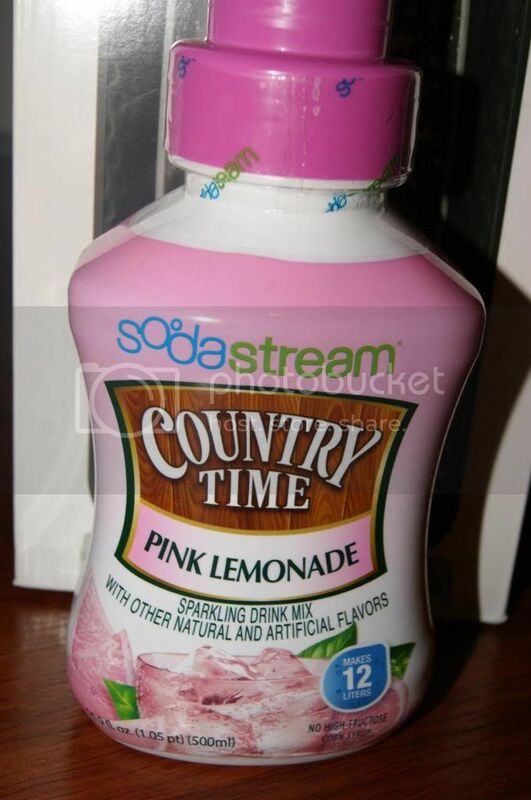 I like that you can make your own soda in a matter of minutes. I love that it can save me money!! I like that it is environmentally friendly since the bottles are reusable. Thanks! Love that its Eco friendly with its reusable bottles. 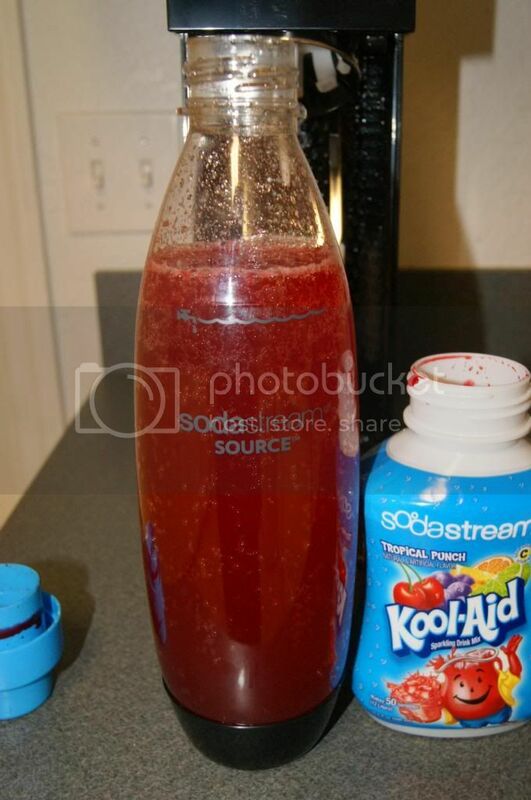 You can save a lot of money by making your own soda rather than purchasing it at the store. I like that it's cheaper in the long run and much better for the environment. I love that it can save you money and cut back on garbage! You can make what you need so you don't end up with flat soda! I don't think it actually saves money since the price is comparable to buying it made but this way you won't have all of those cans and bottles in the way! I love that it cuts costs and waste. I also like that it is more healthier than traditional sodas. 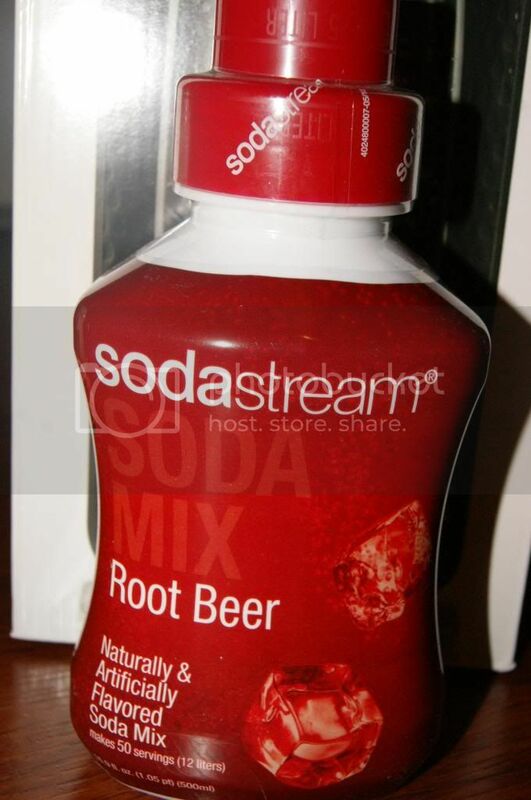 I love that it has all the familiar flavors and kinds of soda to make without spending a lot of money on them! Budget friendly and allows you to control the amount of sugar and flavor intensity. I like that you don't have to run to the store for a hit of caffeine. I like that you can blend your own flavors and also involve the kids in making their own soda. I like that it's there and ready if I need soda for friends and family and there are so many yummy choices. I like all the choices for flavors! I love that you can make soda for a LOT cheaper than you can buy it! And all the flavors are awesome! I like the idea that you can have different flavors available for company. I love that it's space saving and has a variety of flavors. I like that it's less wasteful than buying bottles of soda. I like that it takes up a lot less room than a bunch of bottles and there are many different flavors. I love how much money you can save by making your own soda! I love the variety of flavors they offer! You can make your own flavors. I love all the different flavors that they offer. I like that it saves money. I'm a cola fiend - this would save me so much money! I love easy it is to use! I also love he cost-saving factor! We're hosting so many holidays this year, it'd be a breeze if we had this! And the kids would love making soda! I like that it is a great way to enjoy carbonated drinks without adding more plastic trash to the environment. I like that it would save me trips to the store to buy soda and creates less waste. I like not having to return bottles. I like that there is a huge variety of flavors to choose from. It like that t save money and cuts down in waste. I like the natural flavors so that our family can stay away from aspertame! 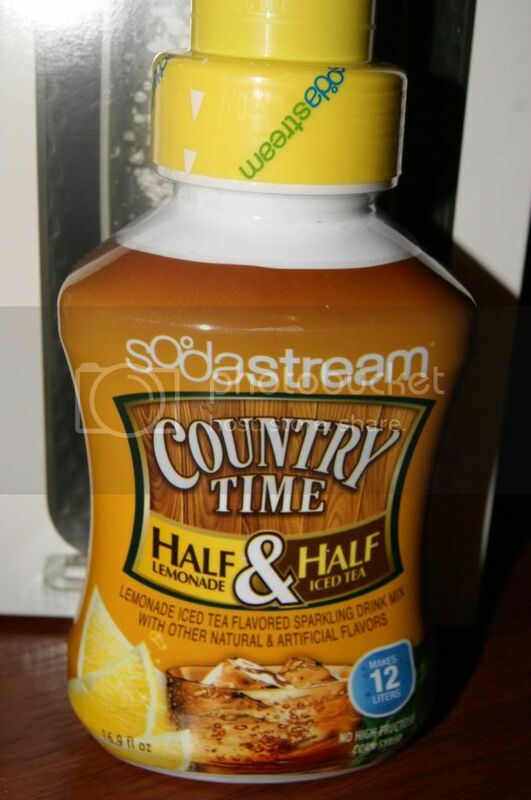 I like that it is fast n easy to use and the variety of flavors is superb! I like how much money I would save on buying pop! 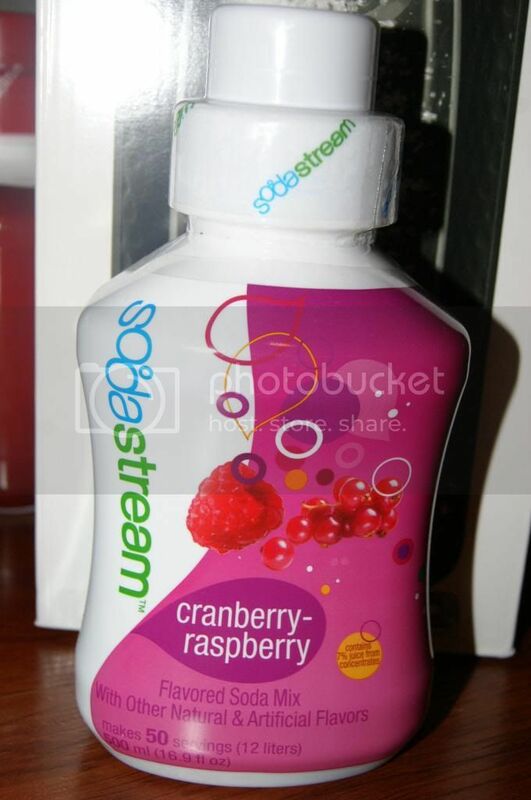 I love that SodaStream offers such an amazing selection of flavors. I also like that it is much more economical than buying soda at the store. I like that it's eco-friendly, and would potentially save us a lot of money (my husband has a bit of a soda addiction).